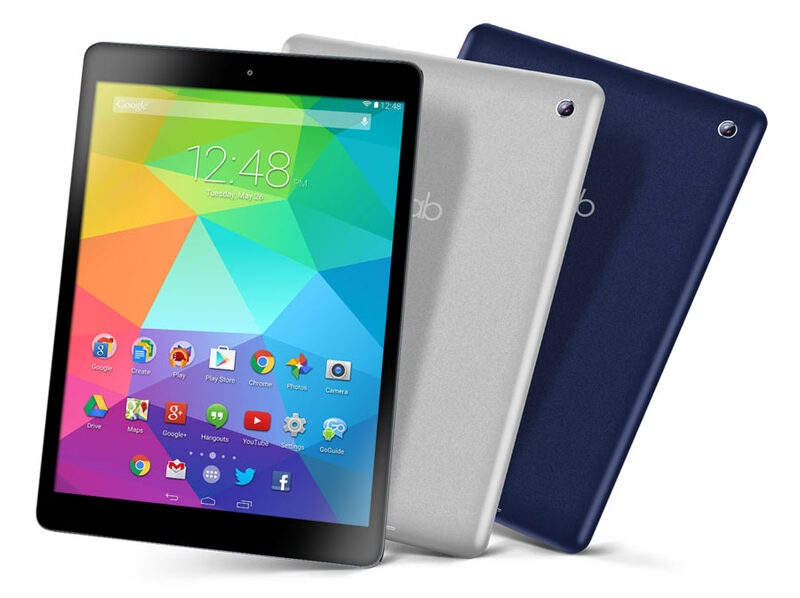 With Android™ KitKat™ OS and an ARM® Quad Core processor, the GoTab™ X Mini gives you a stunning aluminium tablet at a breakthrough ‘cheap tablet’ price. The 7.85” capacitive touchscreen lets you get the best of the web as well as the latest apps & games, right at your fingertips. Available in pure aluminium, or midnight blue, you can now let your style out with your choice of colour. 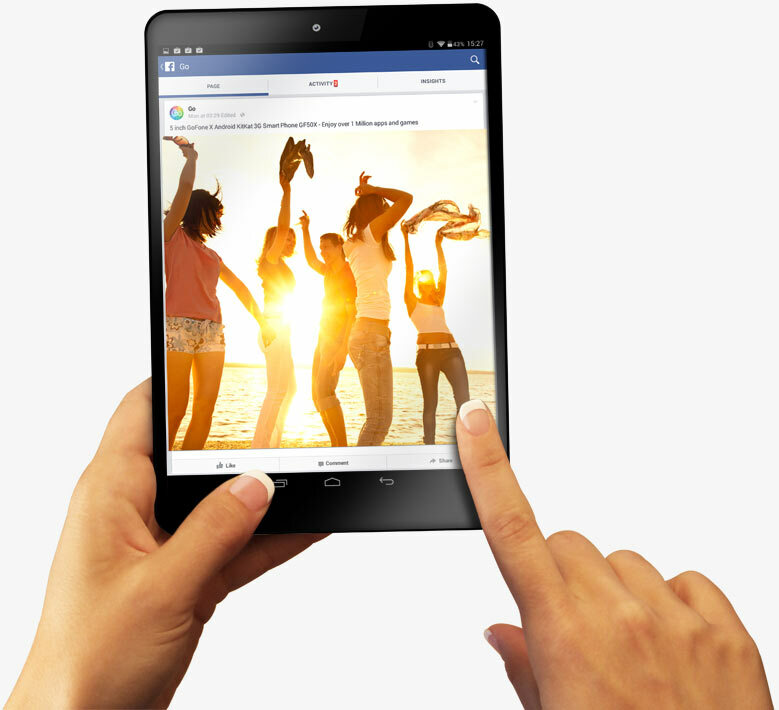 With pure Android™ 4.4 Kitkat™, the 7.85″ GoTab™ X puts you in good company with over 1 Billion Android users. Get awesome features like ‘OK Google’ voice control, Google Now and now over 1 Million Apps for almost anything you can think of! Stay on top of what’s happening in your life, including what you need to do, where you need to go and how to get around. Keep up with your interests, news & vital information while you’re on the go. A Quad Core ARM® CPU & HD graphics processing keeps everything running smoothly and 1GB RAM is great for playing games & using apps. GoTab lets you can keep multiple apps open, to quickly jump from one to another at the touch of a button. 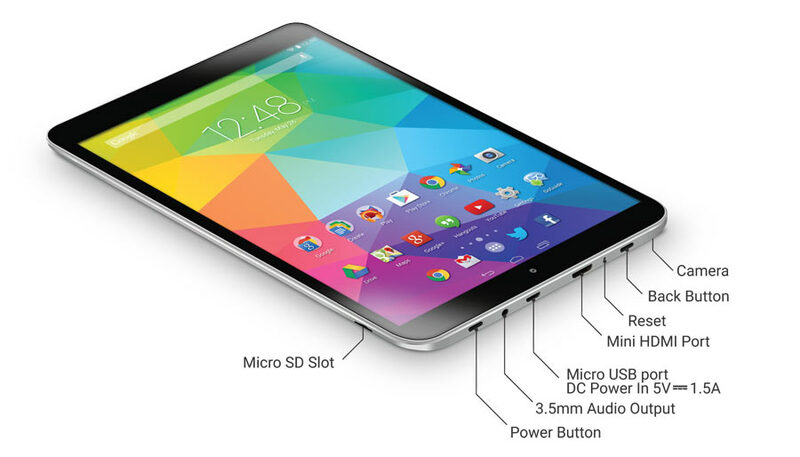 The capacitive technology lets you use multi-touch apps with the slightest tap or swipe of your fingertips. Its also great to ‘pinch & zoom’ into webpages or photos for a closer look. With built in Bluetooth connectivity you can connect a Bluetooth Keyboard or connect to your phone. Work on Documents, Presentations, Spreadsheets and PDFs on your GoTab or in the cloud to help you be productive and get work done everywhere you go. Your GoTab comes pre-loaded with Docs, Slides and Sheets, or you can download free Office programs, like Microsoft Office Mobile to help you create, edit and share documents. The miniHDMI port or Screen Cast feature allows you to give a presentation to an HD TV, right from your GoTab. Play more, do more, watch more and work more on the go. Stream movies, music, magazines, ebooks, and much more right from the Play Store™. With more than 1,000,000 apps to choose from, you can find loads of amazing apps for fun or for work. There are thousands of apps for free, from Angry Birds, to Office Software, TV & Video Streaming, Music and Internet Radio. You can also buy, download or stream movies, music, magazines, eBooks, and much much more, Right from the Play Store. so theres something for everything, and something for everyone. Get the latest viral YouTube sensation, stream your favourite TV shows on iPlayer™* , ITV Player™, Netflix™ or watch your favourite home movies at the touch of a button. Videos look great on the GoTab’s screen, and even better if you play video to your HD TV via miniHDMI (cable not included). Stay connected to the people you love with your GoTab. Keep track of your social life and networking using Facebook®, Twitter®, Hangouts, Messenger or even just email. Get your party plans sorted, share your holiday photos or just let the world know what you’re up to. As well as the entire World Wide Web, with loads of great apps like Pinterest, Flipboard, Fancy & News Republic, you can stumble upon all the things you love in life, and share them with your friends. Whether you’re on the train, on holiday or just on the sofa, your GoTab is a great place to browse and share things you love. 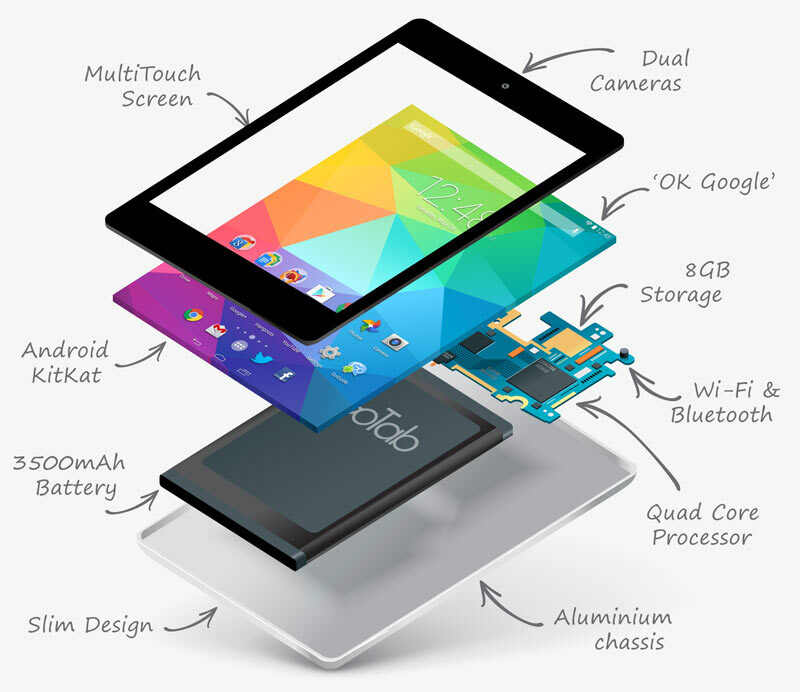 GoTab X has Wi-Fi 802.11 N letting you get connected* to the web wirelessly. Whether you’re downloading, streaming, surfing or connecting to the cloud, the wi-fi N connection will get you connected at home or away*. Jump on a Wi-Fi hotspot to surf the web at super quick speeds. With HTML5 support you can enjoy the latest web standard, as well as pinch to zoom into pages, or even set ‘night-mode’ so the GoTab is easy on the eye. Send and receive emails whether they’re personal or through your work’s Exchange email*. You can also download dedicated email apps for your Hotmail, Outlook, Yahoo or GMail account. 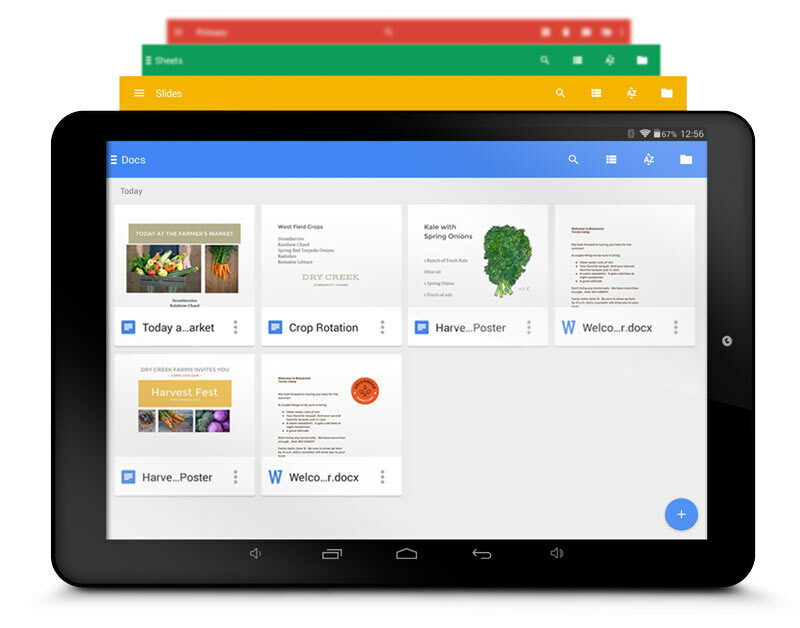 Use Google Now to help organise your life. See helpful cards with information that you need throughout your day, before you even ask. Stay on top of what’s happening in your life every day, including what you need to do, where you need to go and how to get around. Keep up with your interests, news and vital information while you’re on the go. • Note: requires internet access, and Google Account- terms apply. • Not all apps are compatible with GoTab and Android KitKat. • You need a Wi-Fi broadband network/3G Dongle to connect to the internet. This is not included and may be chargeable. • Micro SD Card (not included) can be used to store additional files, music, videos & photos, but does not store apps. *Some USB devices may be compatible. Third party devices are not supported by our Helpdesk, and we cannot offer compatibility advice. *Requires Internet Access which may be chargeable. Requires signup for free Google Account, and free download. Some services require Wi-Fi connectivity, Location Services, and other personal data to perform. Terms and Conditions apply. ** 8GB = 8 Billion bytes. Actual formatted capacity is less and storage quoted excludes storage occupied by Android OS and pre-loaded Apps (~3GB). Not all storage can be used for installing apps. Some apps shown are not pre-loaded but all are available at time of press, some may be chargeable. Streaming BBC iPlayer or BBC iPlayer Radio requires you to be a UK resident and to have paid for the Licence Fee Specification subject to change without notice. GoTab™ is a trademark of My Go Ltd. Android is a trademark of Google Inc. KitKat® is registered trademark of Nestle S.A. All other trademarks are property of their respective owners.